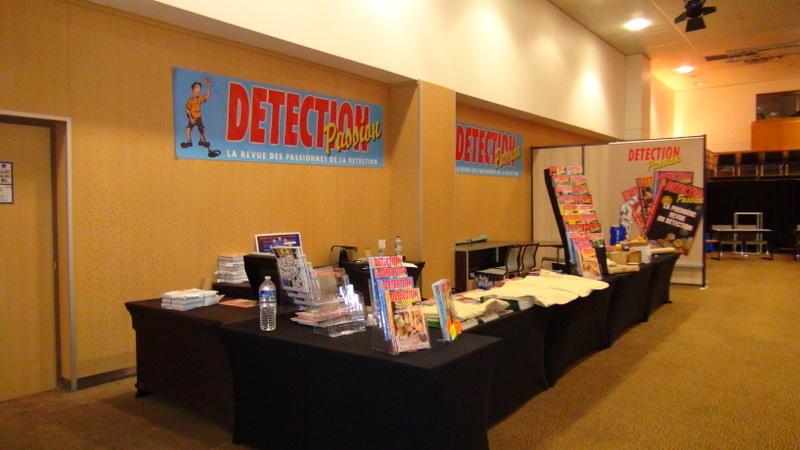 It only feels like yesterday that we were at the very first Salon de la detection metal detecting show Paris. Another year has passed already, it was a pleasure to meet up with old friends and meet some new ones along the way, the French hospitality never ceases to amaze me, I just wish I could talk the language a little better….Perhaps next time ! 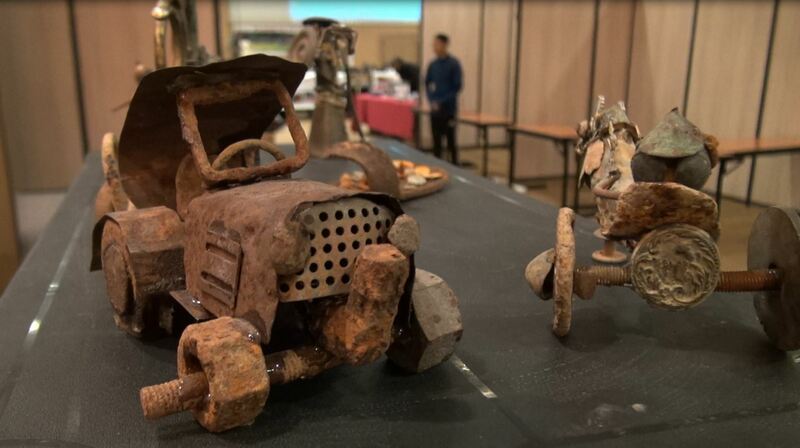 The show was filled with interesting trade stands, one that caught my eye was the Aldup stand, they had a fantastic display of models made from detecting junk. 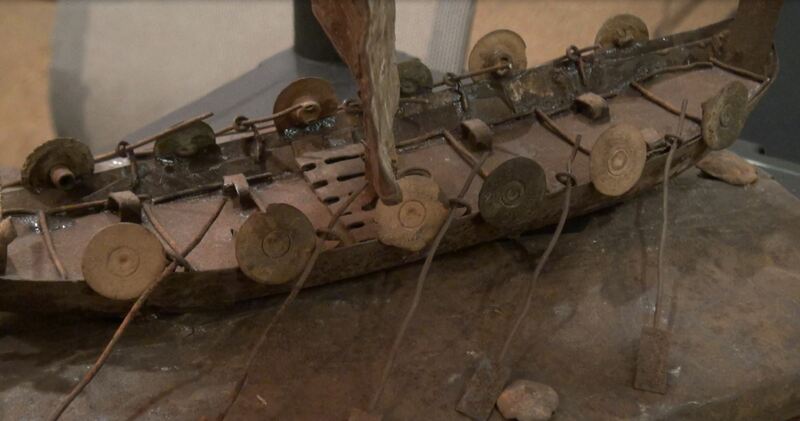 I think this idea will catch on in the future, I think I have enough junk to make a full sized battleship. Perhaps someone can hold a yearly competition. 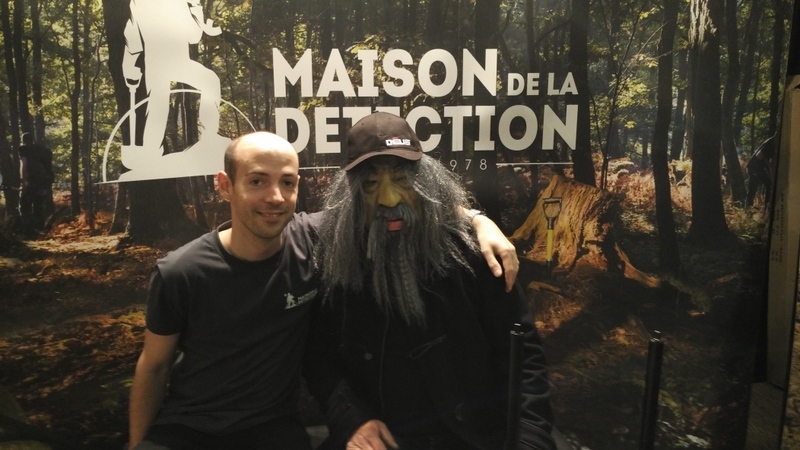 The team from Maison de la detection and French detection put in 110% as usual, these guys really know how to put on a show. One or two interesting characters dropped by for a picture. As well as their stand they had a media area where people were interviewed for a new upcoming video. 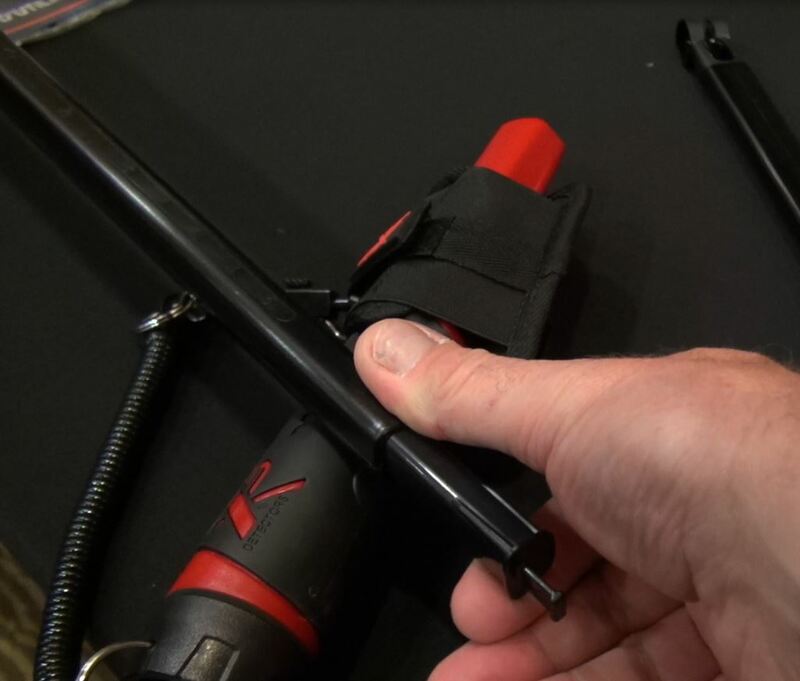 The team from XP worked hard all weekend demonstrating the new products and talking with old and new customers. 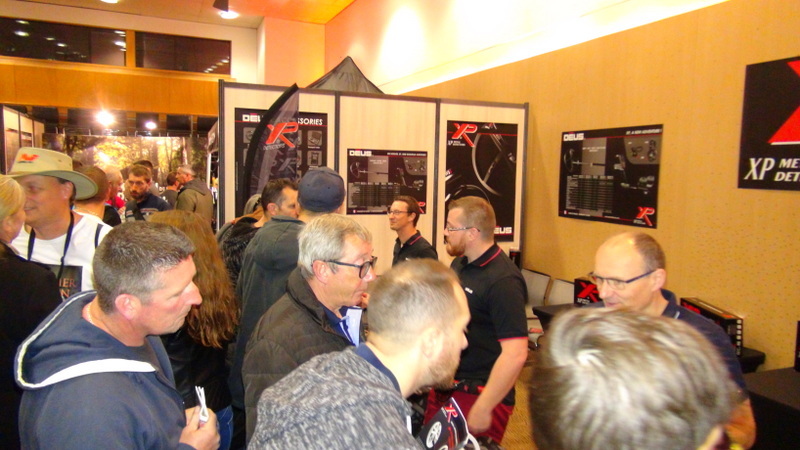 The new HF (high frequency) coils, version 4 software and the pin pointer gathered a lot of interest. 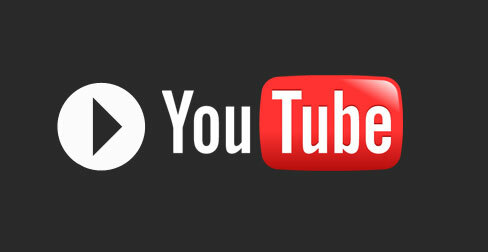 The product will soon go through a field test period and release dates will be announced in the very near future. At the moment there are no prices for these products, the version 4 update will be free. 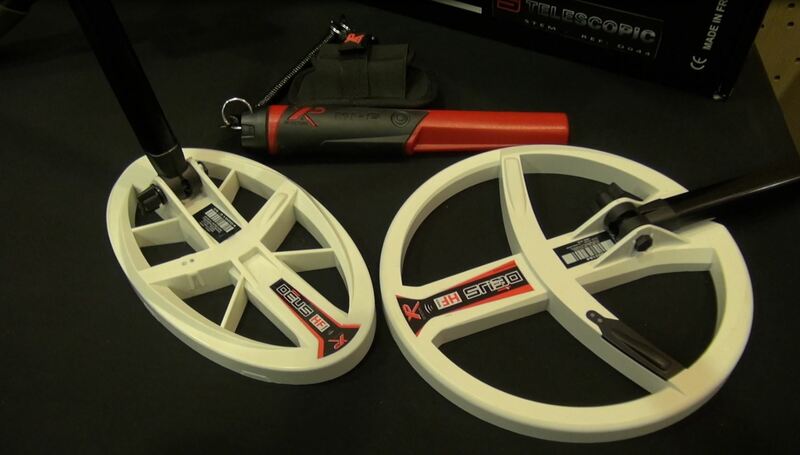 XP customers loved the lower stem mounted battery system for the HF coils, another new innovation !. 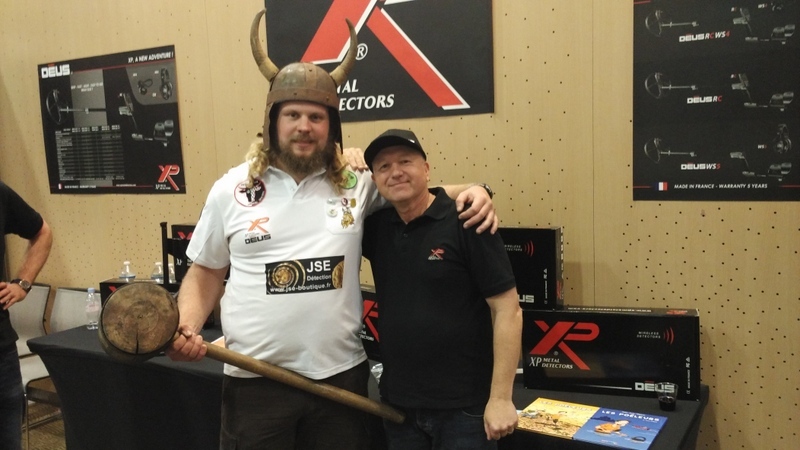 The Viking made a guest appearance….This guy gets everywhere, he was at the XP UK rally last month and we all enjoyed his company. 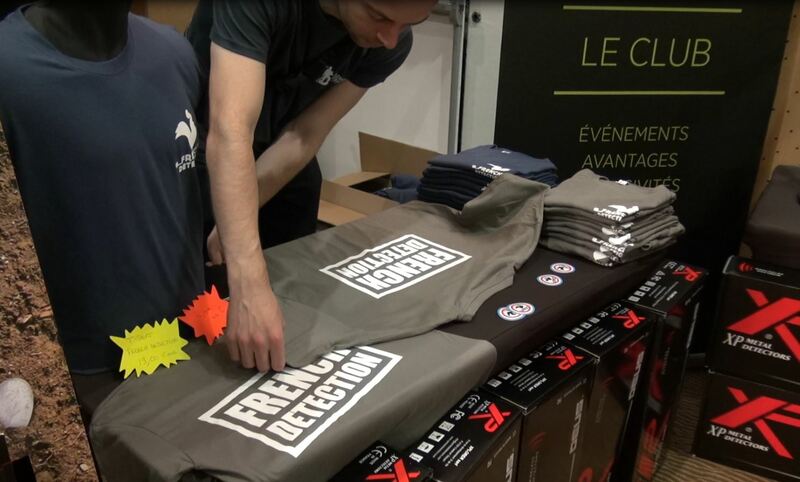 On behalf of everyone we would like to thank the team from Detection Passion for organising this fantastic event and for their kind hospitality. We are very much looking forward to the next event. 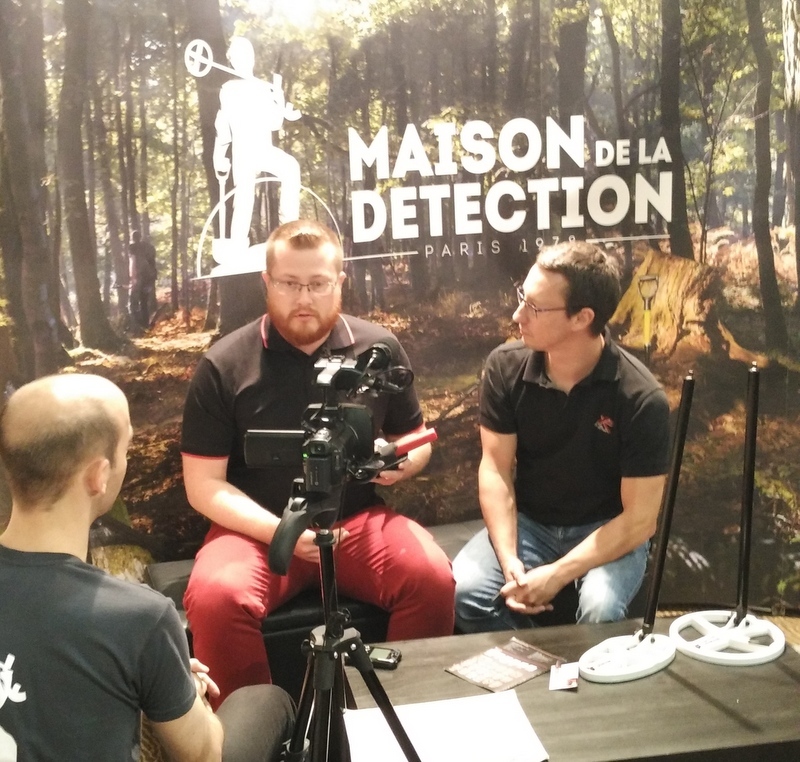 Here is a short video of the Salon de la detection metal detecting show Paris .